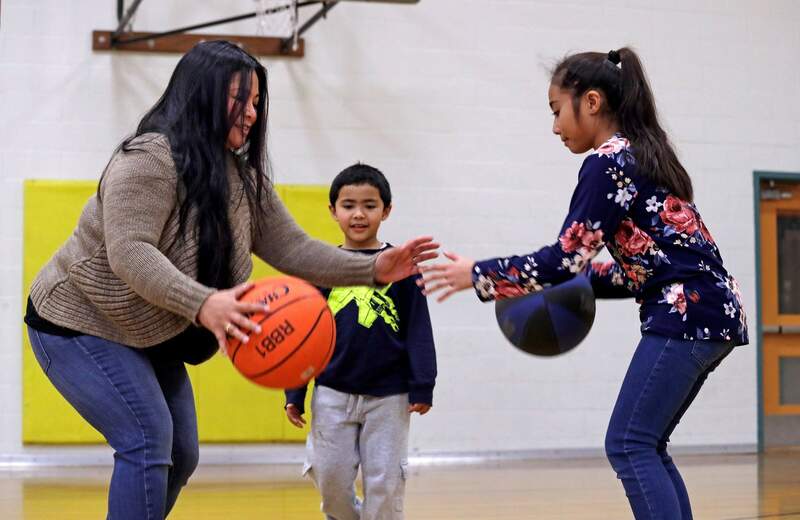 Lara Mae Chollette, a coach of youth soccer and basketball, runs a basketball drill with her daughter Linda, 10, as her son Jaylen, 7, looks on at a community gym in Seattle. 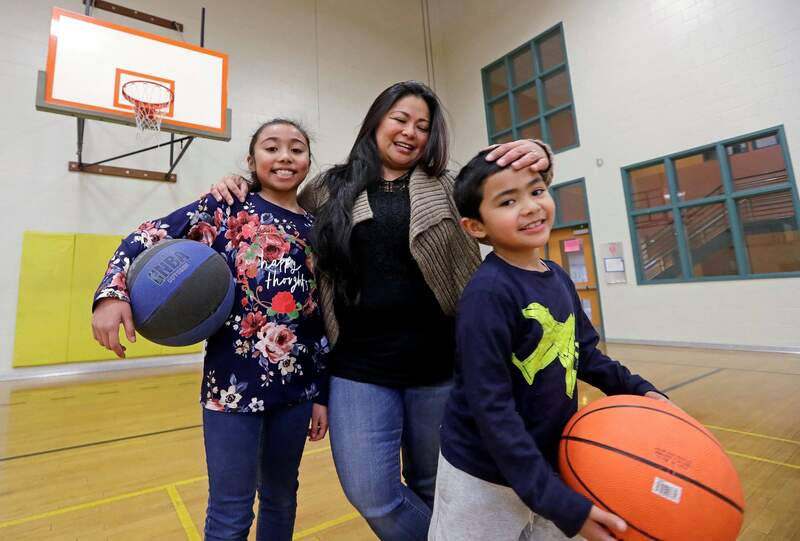 Lara Mae Chollette, a coach of youth soccer and basketball, poses for a photo with her daughter Linda, 10, left, and son Jaylen, 7, at a community gym in Seattle. 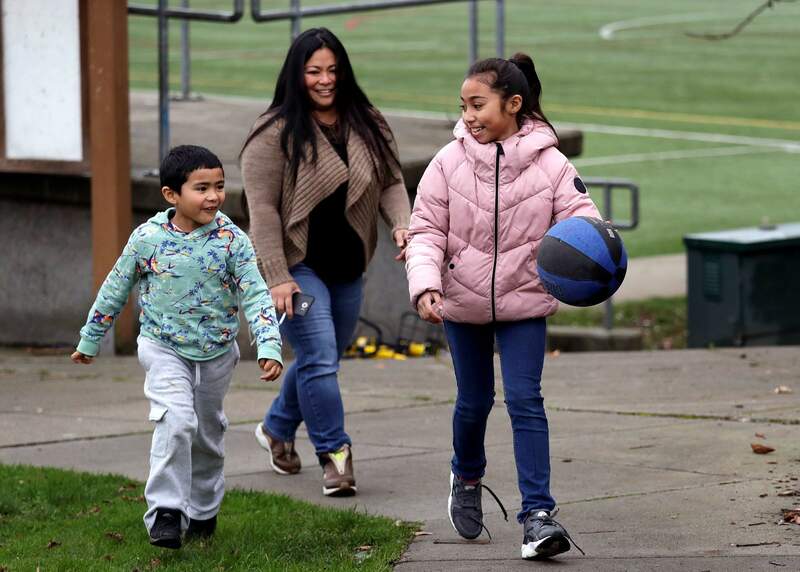 Lara Mae Chollette, a coach of youth soccer and basketball, follows her daughter Linda, 10, right, and son Jaylen, 7, at a playground in Seattle. SEATTLE – With Olympic prodigies having just dazzled audiences worldwide, parents in the U.S. are reconciling the thrill of the gold with their fears from recent sexual abuse scandals in elite youth sports. “If we’re really about youth development and character development, this is going to be in front – and the most important part – of our bylaws,” Gill said.